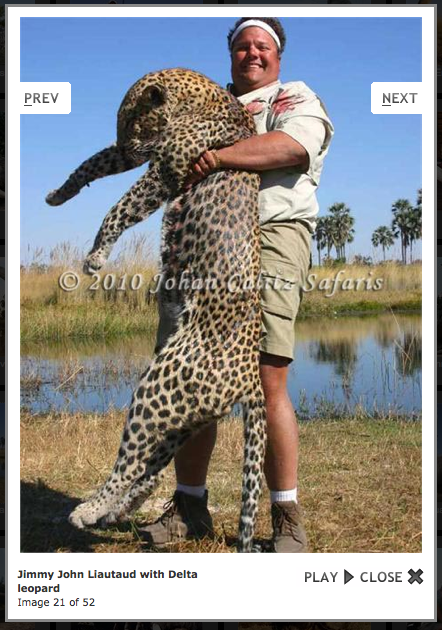 The grinning nitwit in this photo has just killed the amazing animal (on the endangered list in some areas) that he is holding. How could you want to KILL an animal like that? Did that leopard have cubs? And here he is today. The person holding him, that helped nurse him back, is a prisoner that works at this shelter. A multi-millionaire kills beautiful animals for fun. This prisoner helps them recover to be the partners that they want to be.